Mold, whether from natural causes, leaks or flooding, is a part of the environment that, if allowed to go unchecked, has the potential to cause health problems in your home. Large patches inside or even on the outside of your home can present a health hazard that requires expert help. You’ll need a professional mold removal company, like us here at XSI Disaster Services at that point. These types of symptoms are similar to hay fever. Allergic reactions to mold are quite common, and can present immediately or be delayed. Molds can be responsible for triggering asthma attacks in people who are allergic, leading to shortness of breath, chest tightness and wheezing. In a few cases, a pneumonia-like disease may develop. Infectious diseases may also develop in people with weakened immune systems. Family members who are immune-compromised are particularly at risk. Some types of mold can cause infections of the lungs, eyes and skin of people living with these types of health conditions. These “opportunistic infections” usually do not affect healthy people. If you have experienced a leak in any part of your home or have gone away for the weekend in the summer and left your air conditioner off, the level of moisture is going to rise. Unless you address it immediately, you have unknowingly created the perfect breeding ground for mold. Don’t try to remove mold yourself. 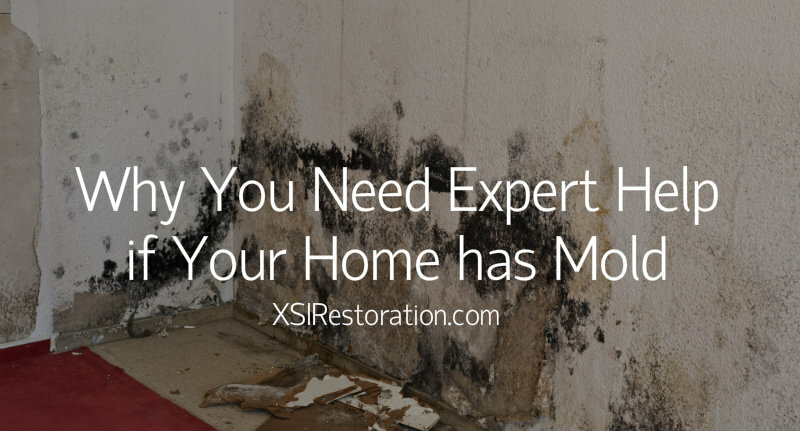 Get expert help from XSI Disaster Services with mold remediation in Atlanta. We are your Atlanta mold removal experts who can survey the damage to your home and offer cleanup services including water damage restoration from certified technicians. If you have a mold issue in the metro Atlanta, GA area, contact us today to get the problem properly cleaned up and begin your path to a healthier and happier home and family!